"Hello. I would like to save some YouTube into MP3 audio. But most YouTube downloader apps only save the downloaded YouTube files in video format. That’s not what we want. Is there any solution to grab MP3 from YouTube video so that I could grab YouTube MP3 audio for iPod? Thanks for any suggestion." On any music module of QA sites or Google, you could see questions like the above one. Many people want an MP3 grabber to grab MP3 from YouTube and other sites like Spotify or Last.FM station, but have no idea what to do. Actually, it’s quite easy for you to grab YouTube MP3 audio and other audio files for saving into MP3 format. In this post, we would like to intoduce you different ways to help you grab MP3 from YouTube and grab MP3 from websites like Last.fm. There are quite a few online YouTube to MP3 converters that could help you grab MP3 from YouTube and even grab MP3 from websites like Facebook and others. youtube-mp3.org is one of them. It is extremely easy to grab MP3 from YouTube with this online YouTube to MP3 converter. The below steps would show you how to grab YouTube MP3 online with it in detail. Click the "Convert Video" button. 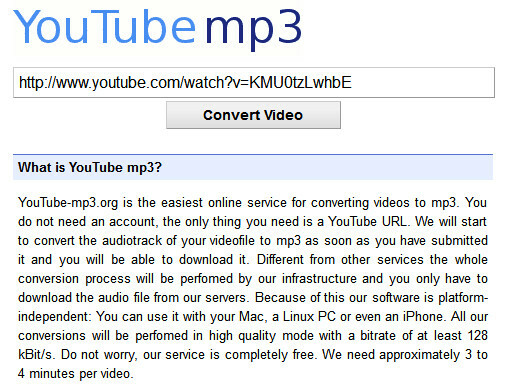 This online YouTube to MP3 converter would start to convert YouTube to MP3 audio. By making use of this online free YouTube to MP3 converter, you could easily convert YouTube to MP3 audio and grab YouTube MP3 audio for saving on local drive. Besides online YouTube to MP3 converter, there are surely local YouTube MP3 grabber to help you download YouTube video and then convert YouTube to MP3 audio on your computer. This method works for nearly all video sharing sites including YouTube, Facebook, Veoh, etc. Here we would like to take use of Leawo Video Downloader and Leawo Video Converter for example to show you how to download and convert YouTube to MP3 audio on computer. Leawo Video Download helps you easily download YouTube videos, while Leawo Video Converter helps you convert YouTube video to MP3 format. They are both bundled in Leawo Prof. Media as single function module. Download and install this app on your computer and then follow the below steps to learn how to grab YouTube audio in this way. 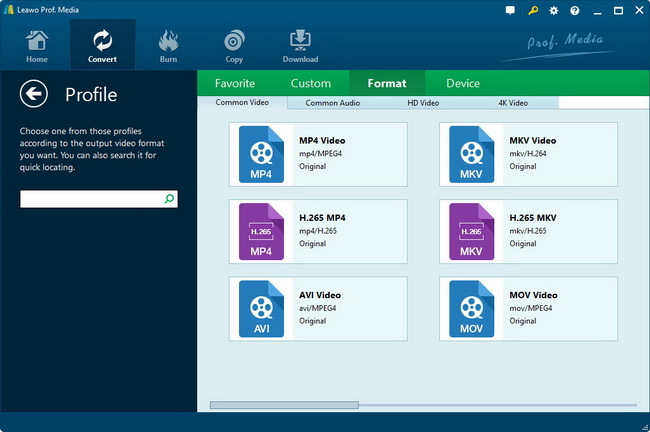 Launch Leawo Prof. Media, which includes Leawo Video Downloader and Leawo Video Downloader, and open the "Download" function module. Copy and paste the YouTube video URL into the browser address to access to target YouTube video. By playing back the target video, you could see multiple options of target YouTube video for you to download on the right sidebar. Select one and then click the "Download" icon. The target YouTube video will be downloaded immediately. After downloading, you could see the downloaded YouTube video under the "Downloaded" tab. You could right click the downloaded YouTube video and choose "Add to Convert" option. 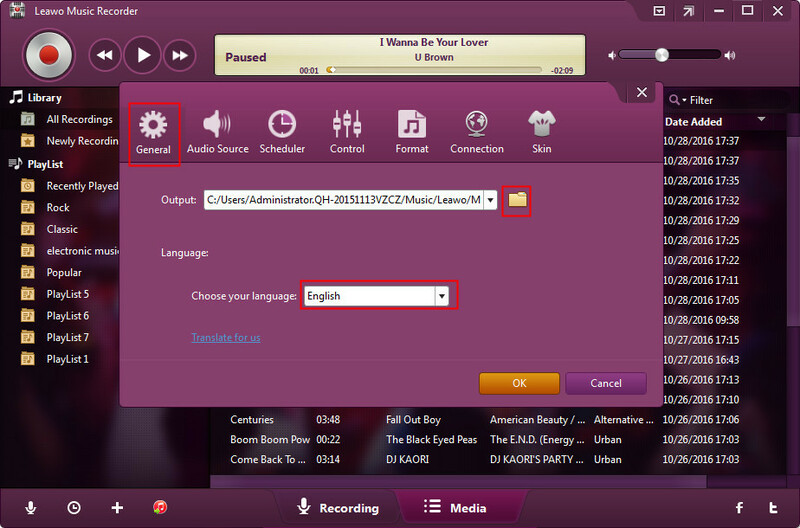 For detailed steps on how to download YouTube video, please visit: Leawo Video Downloader Guide. Once you click "Add to Convert" option, the downloaded YouTube video will be added to the "Convert" function module. Under the "Convert" module, you could then click the drop-down box next to the "Add Photo" button and then click the "Change" option to choose MP3 as output format from "Format > Common Audio" group. 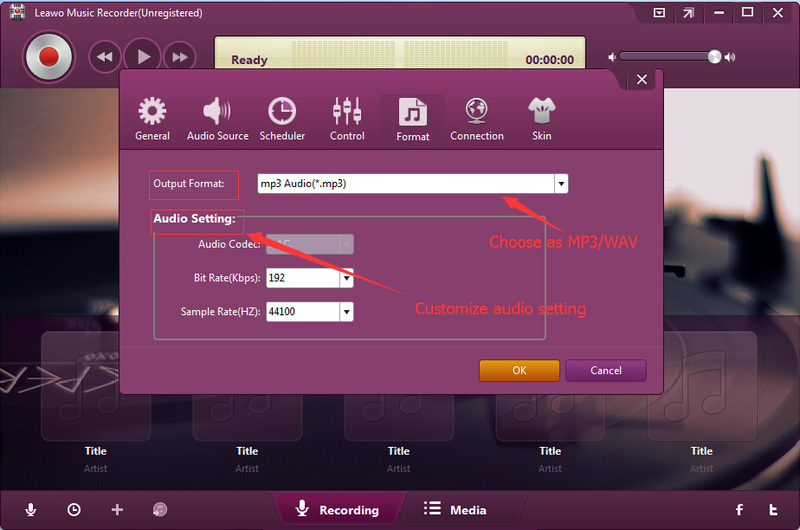 You could even adjust the parameters of MP3 audio format. After setting output format, return to the main interface and then click the big greeen "Convert" button. On the popup sidebar, set output directory to save output MP3 audio file in the "Save to" box. Then, click the bottom "Convert" button to start converting YouTube to MP3. You then only need to wait for the completion of YouTube to MP3 converting. We have got a more detailed guide to help you convert YouTube to MP3. You could visit How to Convert YouTube Video to MP3 for more details. We could still change our thinking a little to get a more enjoyable solution to grab MP3 from YouTube. That’s to make use of music recording software, which could generally record YouTube into MP3 audio format directly. Leawo Music Recorder is just such kind of MP3 music recorder software program that could grab YouTube to MP3 audio in simple clicks. What’s more, this YouTube to MP3 grabber could even help you add music tags to recorded MP3 audio, which will save you time and energy and make everything well managed. To grab YouTube audio with Leawo Music Recorder, just download and install this YouTube to MP3 music recorder on your computer and then follow the below steps. Call out the Audio Source settings window by clicking the "Audio Source" icon on the main interface. 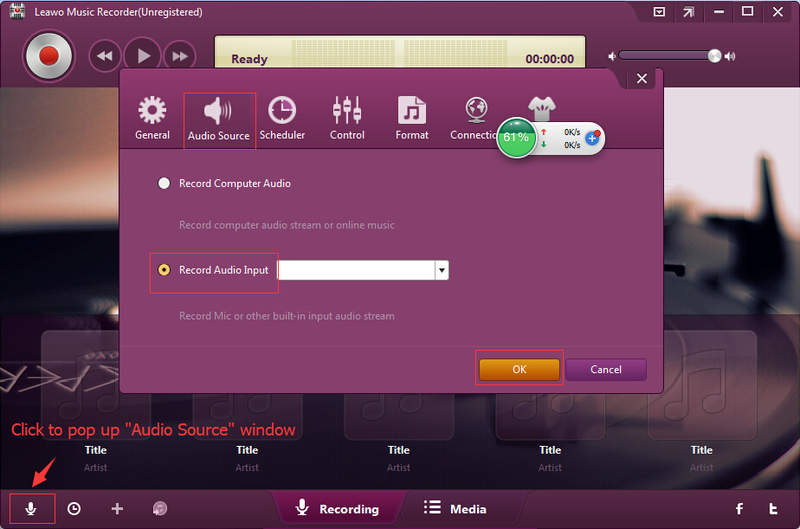 2 options are selectable: "Record Computer Audio" and "Record Audio Input". Choose the former one since you need to grab YouTube to MP3 audio on computer. 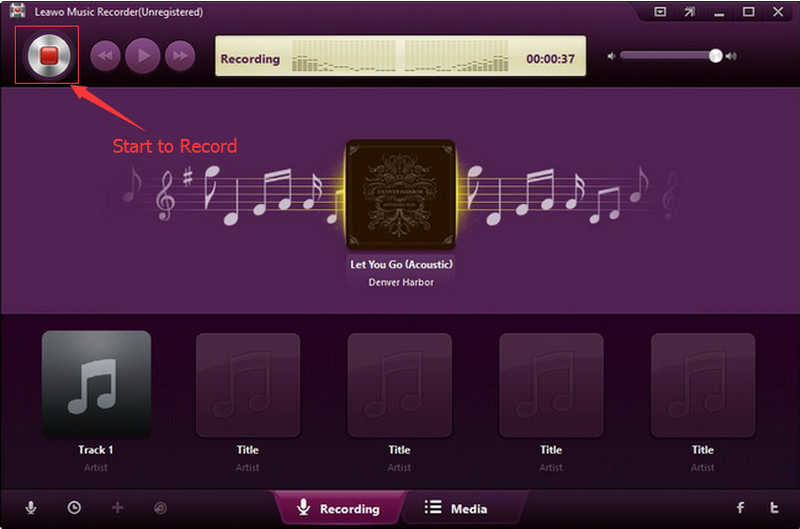 Leawo Music Recorder supports WAV and MP3 audio output (the Mac version supports one more M4A audio output). 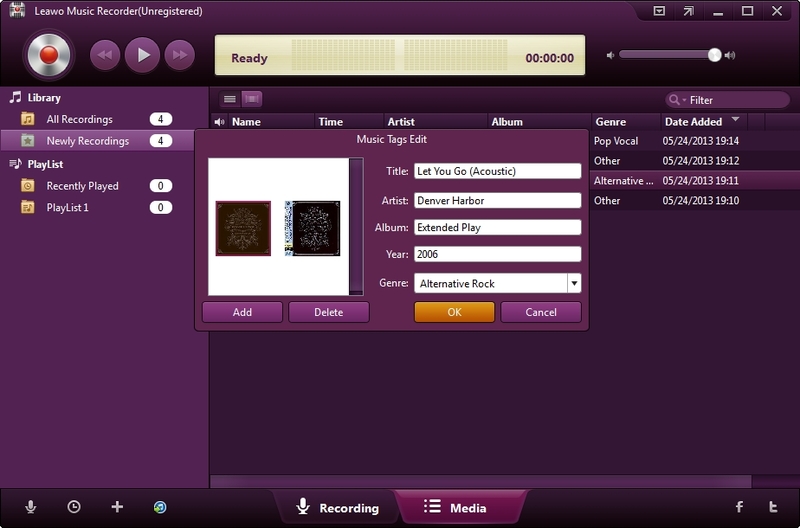 Open the "Format" tab and then select MP3 Audio as output format. If you need, you could adjust the Bit Rate and Sample Rate. You also need to open the "General" tab to set output directory in the "Output" box to save grabbed YouTube MP3 audio. Click "OK" button when all settings are done. On the main interface, click the red "Start recording" button to start grabbing YouTube to MP3 before you play target YouTube video back on the browser. Though Leawo Music Recorder is able to automatically download and add music tags to your recordings, you can manually change music tags by clicking Media > Library. Select the target recording and right click it, then edit tags like song name, album name and genre by choosing "Edit music tags". Online YouTube to MP3 converter could help you easily convert YouTube to MP3 audio. It’s the easiest solution for you. But the quality is not ensured. Local YouTube to MP3 converter could perfect help you retain the audio quality, but cost you much time and energy. And this solution is a little bit complicated. Leawo Music Recorder could help you directly grab YouTube to MP3 audio with all music tags automatically added. It’s a modest solution but might meet your needs most.